This week the Canadian astronaut, Commander Chris Hadfield and his fellow astronauts (Tom Marshall (American) and Roman Romanenko (Russian) ) returned from the International Space Station (ISS). After spending more than five months in Space, their bodies have one more adjustment to make…. adjusting to gravity. As there is no gravity in Space the information fed to the brain is modified and the brain adjusts accordingly. However, on return to Earth the brain has to modify its spatial reasoning and coordination once more and re evaluate everything with the inclusion of gravity! Apparently, it feels a bit like stepping off a playground roundabout, but the effects last a little longer! Hadfield is reportedly finding walking difficult, moving his feet slowly and tending to bump into things. Corners and stairs pose a greater difficulty. It will be three weeks before Hadfield will be able to safely drive a car. His back and limbs are aching as they adjust to the mechanical stresses of gravity. It is not just walking and moving that pose a bit of difficulty, Hadfield even reported to having to modify how he talks, adjusting to the weight of his tongue and lips again. 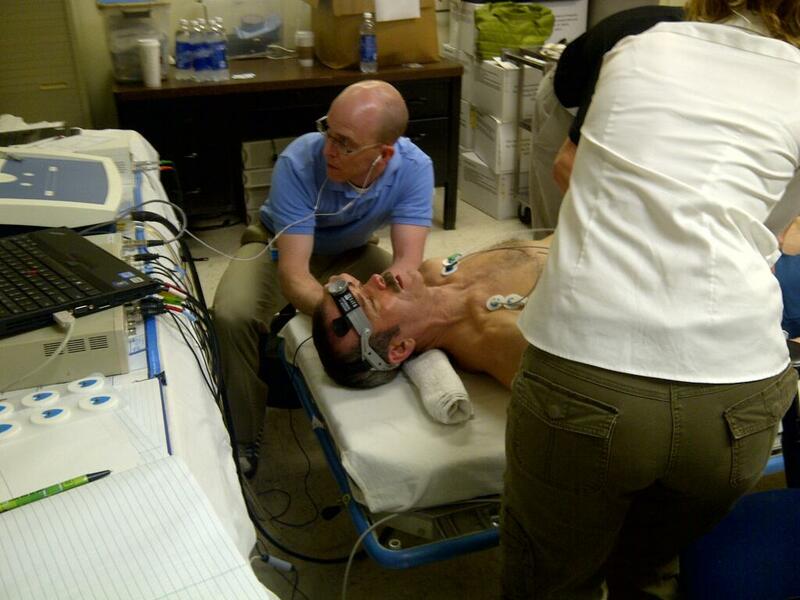 Now safely back in Houston, Hadfield will undergo a series of tests to analyse and monitor the effects his Space stay has had on his body, and the progress his body makes during this adjustment period. The prolonged exposure of the astronauts’ bodies to the weightless environmental (microgravity) on board the ISS will have had significant effects, most notably a weakening of their muscles and bones. Astronauts can loose about 1% bone mass per month while is Space. They will also have had a reduced heart rate, decreased production of red blood cells and a weakened immune system. The distribution of water within the body is also effected by such weightlessness. Another interesting modification to the body in microgravity is that it becomes taller – up to 3% taller. Bone density and muscular health and composition are influenced by mechanical stress. In the absence of gravity there is little mechanical stress placed on the musculoskeletal system of the body and weakening and atrophy become an issue. In order to combat this the astronauts spend many hours each day training with specially adapted gym equipment. They also wear special body suits to maintain a more even distribution of fluid throughout the body. Yes Lorna it is hard to believe that people can go into space and live there now for such extended periods of time! Next stop Mars apparently!